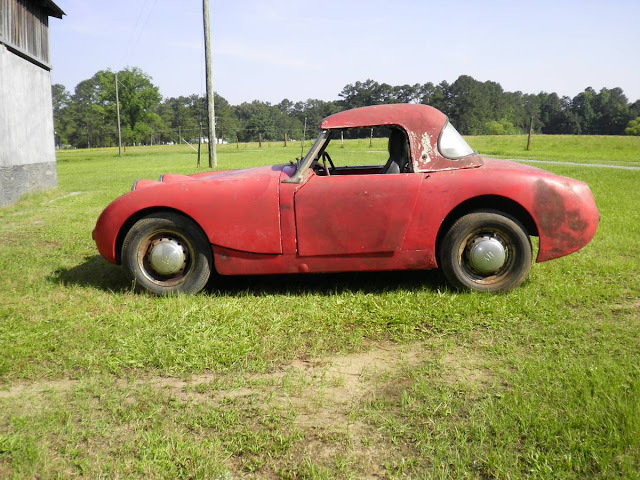 by Adam -- Immediately recognizable by discerning car lovers everywhere, the Austin Healey Sprite had an exceptionally long run. Produced in Abingdon, England and later Enfield, NSW, Australia. This Mark I 1959 “frogeye” in the U.K. and “bugeye” in the U.S. will need some work to turn from a frog into a prince, but has the potential. 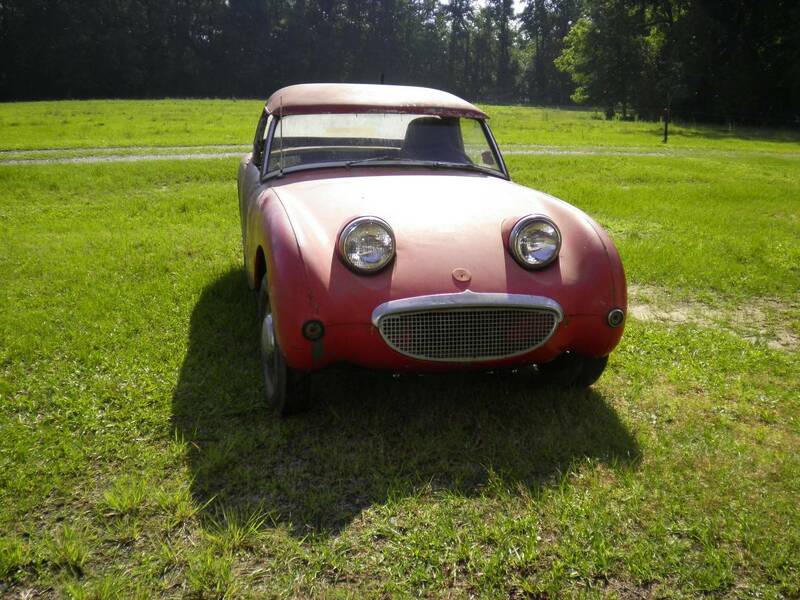 Find this 1959 Austin Healey Sprite offered for $4,500 in Fayetteville, NC via craigslist. The lights which give the car its name were originally to retract and face skyward, but cost cutting measures scrapped the plan and the headlights stayed fixed. At 43 bhp, the 948 cc OHV engine derived from the Morris Minor powers the car. The Minor rack and pinion steering is also reused as well as the front suspension from the Austin A35. 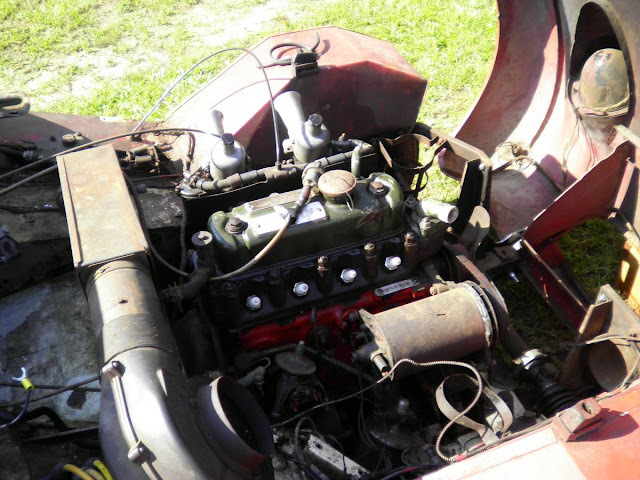 Recycling is nothing new in the auto industry. Being one of the worlds first volume sports cars to use unibody construction where the sheet metal takes many of the structural stresses the trunk lid is non existent. 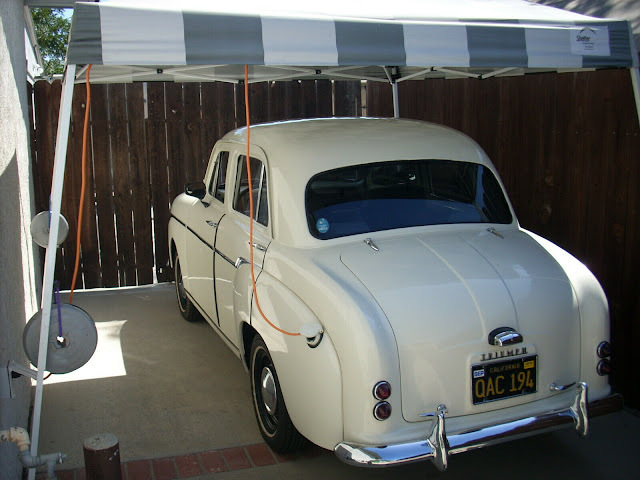 To provide an opening would have compromised structural rigidity in the car. To access the trunk drivers flip the seat forward and grab the spare tire or stow luggage. SAAB did the same with the early 93. With no exterior door handles just reach inside to open the doors. A refugee from the frozen north who loves running and water sports, Adam can be found looking for the next slow car to drive fast when he has access to electronics he hasn't immersed in liquids. He's and analog kid not a digital man. Seems steep, but checking out what restored ones are fetching, it probably isn't if not a rusty frog.